Cami NYC's 'Romy' bodysuit offers the perfect tuck - it's not too tight, so the glossy stretch-silk charmeuse gently ripples. It's trimmed with delicate lace that peeks out from the square neckline, and has slim adjustable shoulder straps. 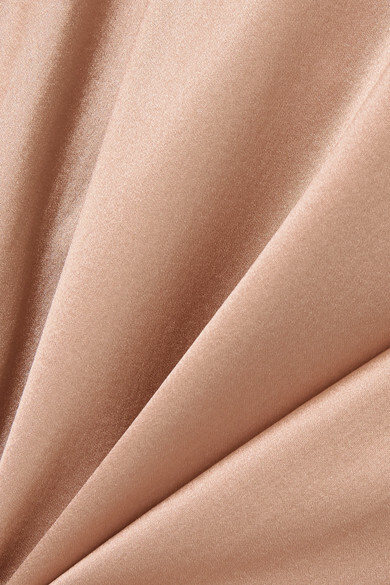 The base is made from seamless jersey that's invisible beneath fitted pants and skirts. 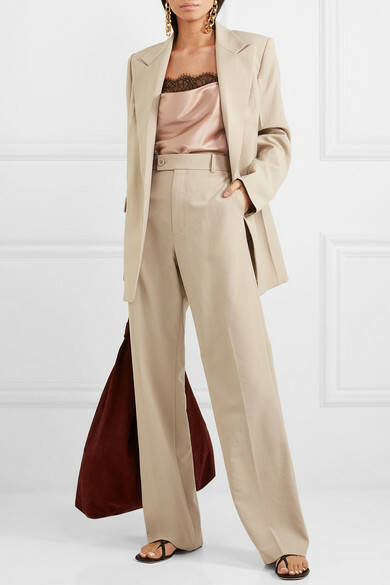 Shown here with: Helmut Lang Blazer, Helmut Lang Pants, The Row Shoulder bag, Rosetta Getty Sandals, Laura Lombardi Earrings.